The Azle men’s campus held several amazing and anointed services this week during their spiritual emphasis week. The Lord showed His presence in every chapel service in a powerful way as men came to the alters and surrendered their lives to God. 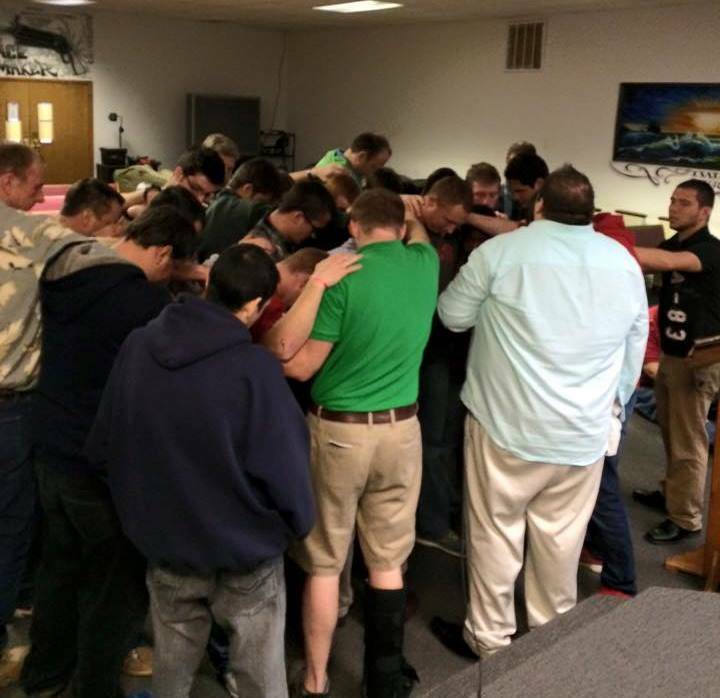 Several men prayed a prayer for salvation for the very first time. Some of these men started letting go of their addictive and troublesome pasts, as they allowed God to begin a deeper healing in their hearts. As they prayed to God, they were also encouraging and praying for one another. Many were finding a new found freedom in Christ. The Lord is doing a mighty work in the lives of many of our Adult & Teen Challenge of Texas students. We are thankful and blessed to know that the Lord is no respecter of persons. He is a good God. He loves every sinner, every addict, and every person on this earth. “…Christ Jesus came into this world to save sinners.” I Timothy 1:15. “For God so loved the world that he gave his one and only son, that whoever believes in him shall not perish but have eternal life”. John 3:16.